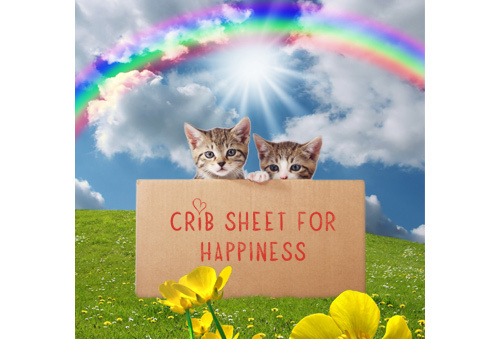 The happiness of our customers is what drives our happiness, which makes us very pleased to announce a great new update to our Crib Sheet app. Thanks to the great feedback from our buyers and users, we’ve made a bunch of improvements which make the app easier to use and understand. What’s the most important highlight of this update? Five new smart and helpful topics that range from the keys to happiness to the keys of a rental car. (1) Happiness: Yep, read this topic and you’ll be happy forever. (2) Disability Insurance: Prepare yourself for that “staple injury” that prevents you from earning a paycheck. (3) Wills & Trusts: We know you’ll never die, but just in case… we’ve got your crib sheet for planning for the stuff and people you’ll leave behind. (4) Long-term Care Insurance: Until the Fountain of Youth is sold in aisle 6, this topic is a must read. (5) Rental Cars: We help you navigate all those extra fees, insurance choices and more. We hope you love the new content. And stay tuned, because we have more exciting updates to come soon.